When working with students, building a positive relationship is imperative by the teacher. Notice I didn't say by the student. I believe that the teacher, the responsible adult in the relationship, is responsible for crafting and nurturing a positive relationship. 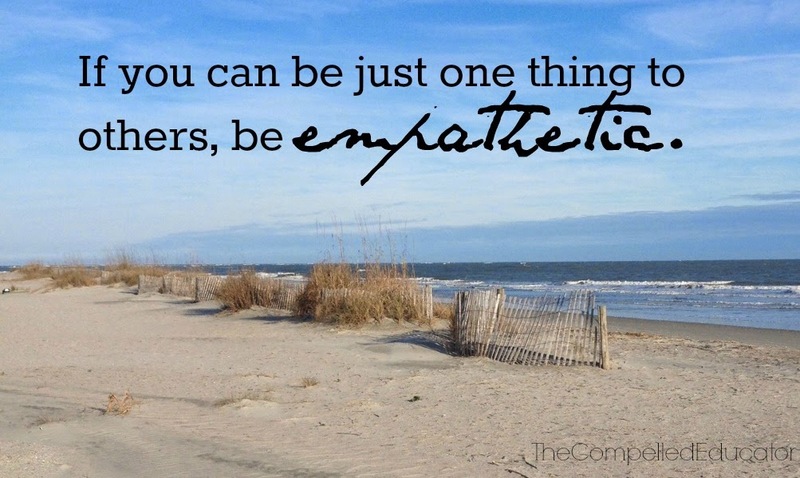 The key to doing this is through empathy. Listen. Really listen. Consider the other person's point of view. Their life experiences and motivations that have led them to their particular view. When responding, begin with "I understand," "I agree," or "I appreciate." Assume the best in others. Intentions included. Open the two-way street. Share experiences, beliefs, and feelings. Look for commonalities. "We are more alike than different" becomes your new mantra. When the student says, "This is stupid." In front of the class. When the student comes to class and says, "I hate my _________ teacher," and slams his books on his desk. When the student doesn't have her homework and says that her dog was put to sleep the previous afternoon. What does empathy look like where you are?